There is no doubt that this fair island of ours owes its heritage to the migratory fishermen who travelled here from European countries hundreds of years ago. In their earliest days they fished from spring to fall, cured and dried their catches onshore, then returned home to Europe before winter arrived in the North Atlantic. The Newfoundland fishery emerged with increased strength on the international market in the early 1800’s with a decline in American and French fisheries. As a result, greater numbers of English and Irish fishermen decided to take up permanent settlement in Newfoundland instead of travelling back and forth to Europe each year. Fishing involved the entire family in those days with men, women and children actively engaged in heading, splitting, salting, and drying cod in the harbours along the coast. A hook and line method was the dominant method of catching fish during those years however, forward thinking entrepreneurial fishermen were early adopters of new methods such as cod seines, trawl lines and gill nets. None of us are capable of looking into the future and seeing our descendants several hundred years from now. 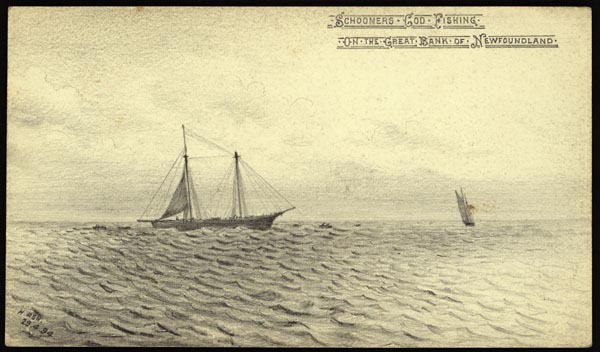 However, were it possible, William Skinner’s heart would swell with pride to see so many generations of men who owe their origin to his decision to settle in St. Jacques and who have followed with making a living on the ocean. One would not try to document every instance of William Skinner’s descendants in a short piece such as this, thus I will narrow the scope to illustrate the lineage. Undoubtedly, there are other descendants who have chosen a life on the ocean. William had two daughters and three sons, George, Abram and James, two of whom we know went on to own their own schooners as had their father. George died at age 25. James had four sons and five daughters. All four sons became fishermen; three of whom, spent their entire lives on the sea. Abram had one son and three daughters. His son would go on to become a war hero in two world wars. The next generation saw men take their vessels across the world’s oceans and back. Today’s generations are doing the same. We don’t know the name or size of any vessels owned by William Skinner; however, we can be certain it was of sufficient size to ply the waters on the north side of Fortune Bay. His daily ritual involved a rise before daylight, rowing or sailing his boat to the fishing grounds outside the harbour and returning before the end of day to process the catch. Inshore fishing in those days was a family affair with wives, sons and daughters all at work cutting, splitting and curing fish. As soon as boys were old enough they worked in the boat alongside their father harvesting cod. We can be certain that William and Elizabeth Skinner’s two sons, Abram and James, were introduced to their careers as fishermen in this way. Abram and his wife Kate raised three daughters and one son, Edgar. Captain Abe owned and operated his own schooners until at age fifty-nine when he ran aground in his 56 ton Hesperia as she approached Point Platte on the northwest side of Miquelon in late December, 1916 carrying a load of coal. There were no survivors. Edgar volunteered for service with The Newfoundland Regiment during WWI. After the war he worked his way up to Captain on large vessels and volunteered for service in WWII where he became Commanding Officer of several Navy vessels including the HMCS Arrowhead. He was involved in the Battle of the St. Lawrence and the Battle of the Atlantic. Captain Abe’s grandson Lester also served as Commanding Officer in the Canadian Navy during WWII. He was serving on the HMCS Victoriaville when Germany surrendered its infamous U190 on the Grand Banks at the end of the war. Oh weary wee flipperling, curl at thy ease! Asleep in the arms of the slow swinging seas! Such imagery can easily lead one to see how a child named Bill who liked sea stories might be nicknamed ‘Billow’. After the war “Uncle Billow” sailed with his brother, Captain Ralph Skinner until his death on July 9, 1923. He was fatally injured aboard ship from an accident while 80 miles offshore on the deck of the schooner Dorothy O, a 122 ton Schooner built at Shelburne, Nova Scotia, under Ralph’s command. The Dorothy O was owned by the Belleoram branch of Harvey and Co. of St. John’s. Ralph Skinner was a renowned captain who commanded a series of vessels which took him throughout the North and South Atlantic. During his retirement years he lived in Belleoram. William (Billow) Skinner’s son Eric followed his father’s lead and served with the Merchant Marine during WWII. Eric repeatedly made courageous and dangerous trips across the Atlantic Ocean between Canada and England on cargo ships in the face of massive German U-boat attacks during the Battle of the Atlantic. During a period which covered most of the war, 1940-46, Eric sailed to such British ports as Liverpool, Manchester, and London delivering desperately needed goods for the war effort in Europe. After the war he chose to live and work on the land. Bert fished out of St. Jacques as part of the inshore fishery, salting and drying his catch on flakes located along the seashore in an area known as ‘the bottom’ of the harbour. He did this until illness forced him to withdraw from active work at a relatively young age; an illness which claimed his life at age forty-two. Louis Skinner and his sister Emma moved to the United States. There, Lou became quite successful in the fishing industry in Gloucester, Massachusetts. Emma married into the well-known Anderson family who also shared a fishing heritage. Descendants of Louis Skinner and his sister Emma can be found in many cities and towns throughout New England. The call of the ocean seemed to have escaped the men of next generation of Skinners in St. Jacques. However, Bert’s daughter Emma married legendary fishing captain Thomas Lawrence and their sons were next to hear the call of their great-great grandfather and seek out a life on the sea. Four of their sons grew into careers that took them away from the land. Their eldest son Albert went to sea on his father’s trawler in his early twenties where he worked in a number of capacities including ships cook for several years. 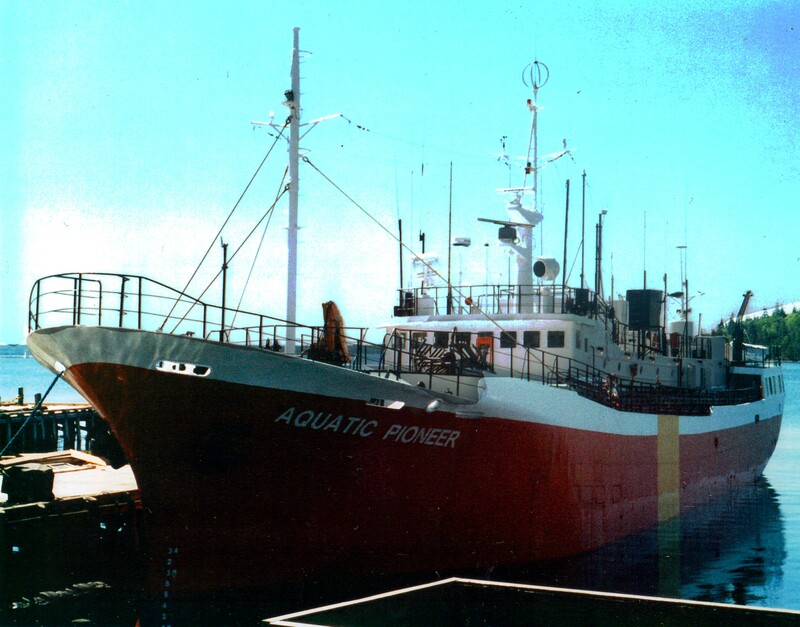 His first ocean going experience was on a trawler known locally as the Rupert Brand VIII although it had been renamed the Zerda by this time, when the corporate ownership of BC Packers shifted to Fishery Products in Harbour Breton. Albert built upon his lengthy experience through formal schooling where he acquired a succession of certificates until he reached the stature of Captain as his father had done. Along the way he served as relieving captain, mate, and Bosun on many recognizable fishing trawlers, including the Zweeloo, Zula, Zeeland and Newfoundland Breeze, the Newfoundland Bounty, Newfoundland Breaker, the Penny Hope II, Zebride and Zerda, as well as the Gaultois. At one point in his career he travelled to Japan and skippered a deep sea tuna boat, the Aquatic Pioneer, from Misaka, Japan across the Pacific Ocean to the Panama Canal and up through the Atlantic to Holyrood, Newfoundland. Since then he captained a succession of fishing vessels including fishing for turbot off Greenland and on deep water factory freezer clam harvesters the Atlantic Vigor and Atlantic Concord; after which he moved into a management position with a major seafood producer in Atlantic Canada. 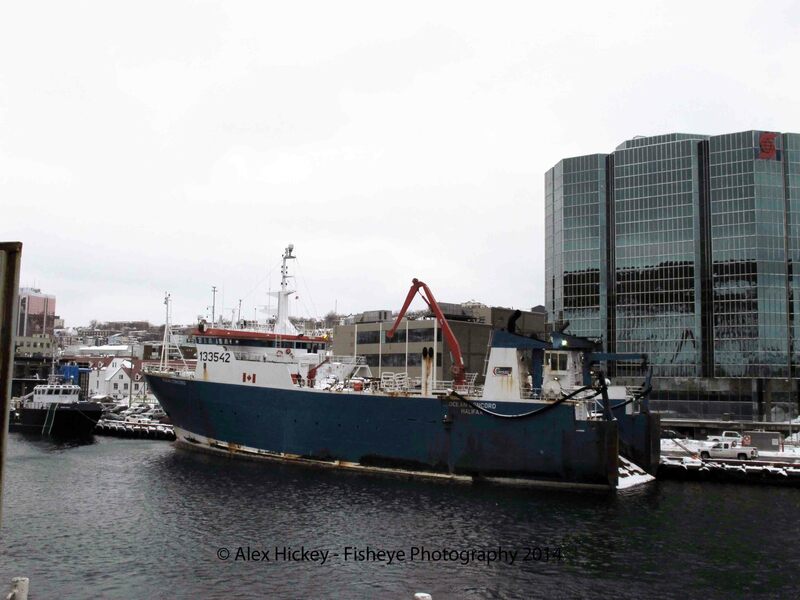 Sam Lawrence has worked on trawlers, inshore fishing boats, long liners, and spent time with his brother Albert tuna fishing in the South Atlantic as well as working in the aquaculture industry farming Atlantic salmon. He continues to fish off the south coast of Newfoundland. These days he is harvesting crab and whelk. Click on whelk to open a pdf file explaining this fishery. You will need adobe reader installed. Ray Lawrence chose a somewhat different career on the ocean. After fishing on a Nova Scotia lobster boat for some time and working in marine related industries he saw a future in the oil industry. He worked off of Sable Island for several years then found opportunities internationally and has worked on offshore drilling rigs around the world. Through determination, experience and training he has risen to the top position of Captain on a rig drilling off the coast of Viet Nam, an occupation which sees him flying halfway around the world twelve times each year. The youngest brother Roy is a ships officer, second mate, on his way to a captain’s ticket. His recent work has been on the Ocean Concord and Arctic Endurance, deep sea clam harvesters whose products are ready for market when they reach shore. Roy has over twenty years’ experience working on a number of fishing vessels in the same industry. 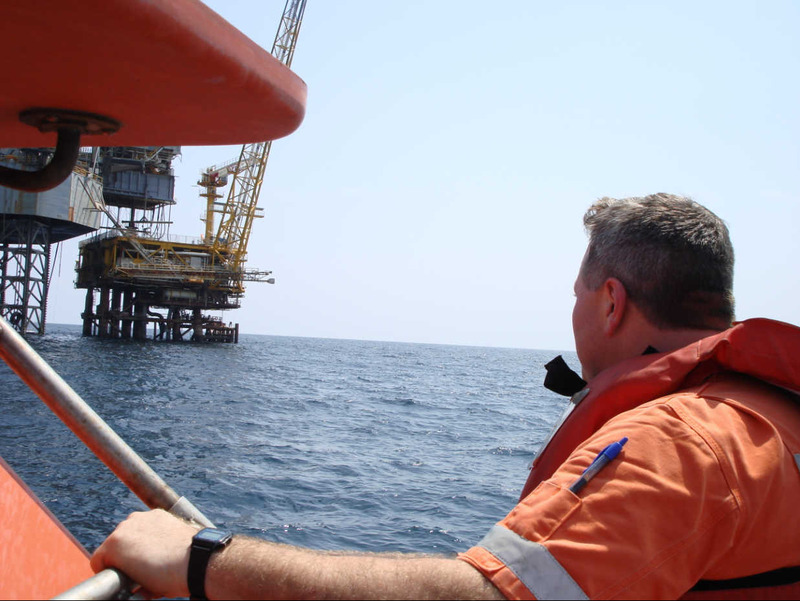 Of the next generation, Albert’s son Craig is currently serving with the Canadian Navy and Sam’s son Peter is working on an offshore oil rig in the United States. Today, the work of William Skinner of St. Jacques is still carried on in the capable hands of men five and six generations beyond him. Like William, who immigrated to Newfoundland from his home in England so long ago to establish a life in St. Jacques, his descendants travel all around the globe in carrying out their work in ocean industries. The thread of salt water which ties them all together has both supported their lives and taken their lives, for a life lived on the sea is forever one of risk and danger. William, following a life in unison with the sea, set out a course of events which took him from England to Newfoundland. Little did he know that his descendants would close the circle by continuing his journey across all of the world’s major oceans and more than once fly over the west country of England on their journeys homeward! The lives of Newfoundland fishermen and their vessels have been celebrated in song for generations. One in particular resonates whenever I reflect on these men, their dedication and hard work. The song, I Am a Fisherman, written by Bud Davidge and recorded by Gordon Drake, captures the essence and fortitude of men who seek to make their living from the sea. Read the lyrics below then listen to Gordon Drake sing that testament to fishermen everywhere. I remember the name “Ralph Skinner”…Thanks for the posting…………..and following St.Jacques fishers ..right up to the present day!…..a proud history! Hi,my name is JACK EVANS and my father ALLEN EVANS, was born in ST. JACQUES ,we have a number of relatives there including the HICKEYS, SAVOURYS, DRAKES etc.as a matter of fact SIM SAVOURY AND JOHNNY DRAKE were my dad’s first cousins.MY dad wrote a book entitled THE SPLENDOR OF ST.JACQUES, you were probably aware of this.He continued to visit there yearly until his death in 1992 after having a few cold ones he would always say ‘the best men in the world come from FORTUNE BAY’I visited there myself a number of times and really enjoyed all it’s beauty and it’s wonderful people.You have a great site and i will follow it on a regular basis, thanks and good luck. Hi Uncle Jack Evans, my parents still have, “The Splendour of St.Jacques” and I now have the book. It is nice to come from a family with such great talent, like uncle Allen I am also studying to become a teacher, I graduate in a couple months. I am actually doing a presentation about his book in Memorial University tomorrow, It is a great book. Ralph Skinner was my grandfather. Love reading about him and St.Jaques. My great grandfather was Ralph Skinner from St.Jaques. 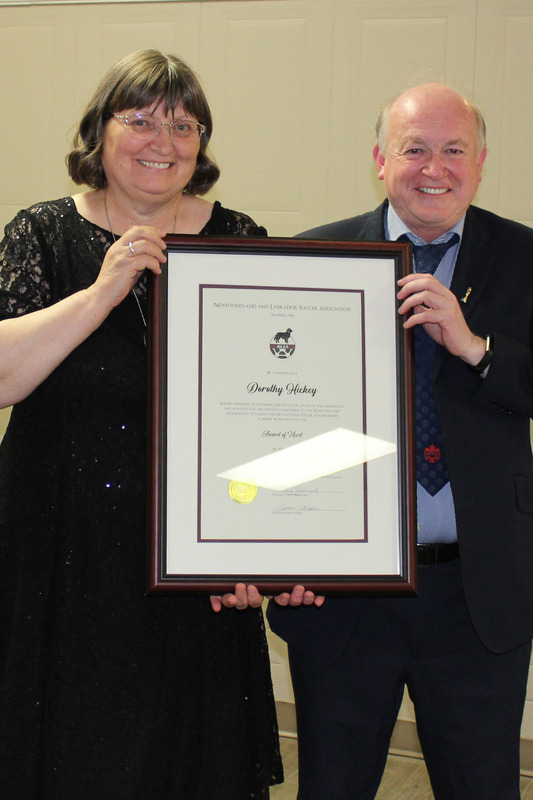 He retired in Lunenburg, NS to live with his oldest daughter Hilda & her husband Tom Strowbridge.